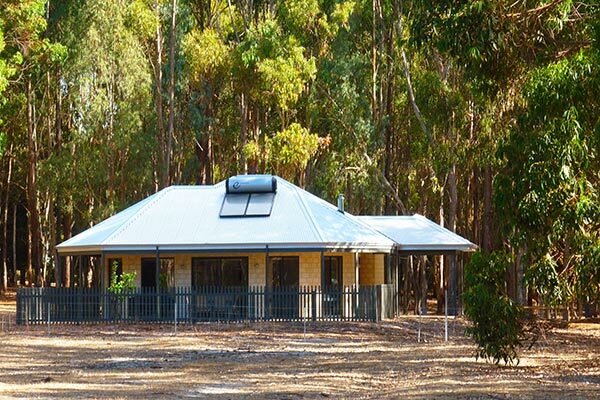 The popular Margaret River Hideaway & Farmstay is ideally positioned just 5kms from the Margaret River township and within easy driving distance of the region’s numerous attractions. The accommodation encompasses 23.3 hectares and is home to a wide array of animals including Dorper sheep, alpacas, Scottish Highland cattle, geese, ducks, guinea fowl, emus, peacocks and chickens. Kids and adults enjoy the animal feeding, whilst overseas and interstate travellers enjoy the peaceful surroundings of the retreat.